Experience world class results with the Artas™ Robotic Hair transplant technology and our proprietary Uni-Strand® dense packing hair process. Sure Hair has been performing medical hair transplants since 1996. Our innovative techniques have transformed the field of hair transplantation. We are fully dedicated to providing the very best results, and take great pride in exceeding client expectations. To date we have performed over 15,000 hair transplant procedures at our medical clinics based in Toronto, Canada, and in the world of hair transplantation there is simply absolutely no substitute for experience. What Makes Our Artas™ Hair Transplant so Unique? Our Hair Transplant Surgeons and Staff incorporate a "patient first" approach to every client case. 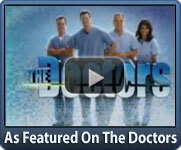 That means we pay very close attention to our patient's needs, concerns and expectations. We feel that each patient is completely unique and their final results need to reflect that uniqueness both in our attention to detail and in the final overall result, and we believe this approach is what makes all the difference for our clients. After all "attractiveness" is a relative concept and we each have our own unique vision of what "attractive" means to them. In 2003 Sure Hair introduced the uni-strand set of techniques, and 10 years later in 2013, we we're the first in the greater Toronto area to introduce world class Robotics for extremely precise extraction of follicular units. 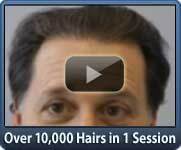 Artas® robotics technology, coupled with the Uni-Strand® technqies provides world class hair transplantation results. 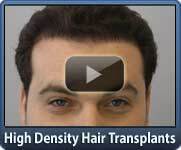 Currently, there are no other hair transplant clinics in the world that offer both. Safely and gently removing the precious grafts without error one by one, and then implanting the same grafts perfectly every time utilizing the time tested uni-graft™ technique. The final density is excellent and the regrowth results are completely guaranteed, natural without any noticeable linear scar, even with extremely short hair our Uni-Strand® Artas™ FUE hair transplant will leave virtually no tell tale signs. This is what has made Sure Hair International one of the most popular hair transplant clinics in Canada since 2003. We strive to continue to introduce new and innovative techniques in order to improve our client’s final result. For patients who choose to have a strip surgery hair transplant our doctors and our skilled team of technicians practice a unique method of creating a trichophytic closure to camouflage donor area incisions with hairs that grow right through the incision, which makes for a virtually undetectable donor area, you won’t find the typical donor area hair transplant scar on any of our patients. The “gentle-touch” technique for administering anaesthesia that is virtually painless. By utilizing what we like to call "controlled irregularity" we are able to exactly duplicate a hair line in the exact same way as it would occur naturally, this is a seamless and undetectable method for creating perfectly natural hairlines with total consistency. Even our own staff often has a difficult time telling the difference between a natural hairline and one that Surehair has previously recreated. 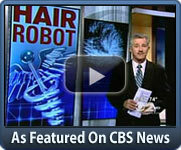 The Artas™ Hair Transplant medical robot is an enormous leap forward in the use of medical robotics. The ARTAS™ robotic arm is able to extract singal follicular units from the patient's donor area at a rapid rate, without ever damaging the grafts and without ever tiring. The end result is we are able to extract more grafts safely and are able to create a denser, thicker hair transplant, while eliminating the common linear incision caused by most common hair transplant techniques. Our staff try to ensure that each patient feels as if they have had an honest and clear discussion about the surgery and what to expect before, during and after the procedure. Following the procedure, all our hair transplant clients can expect a detailed and extensive follow-up program which ensures that each patient has adequate support and access after the procedure.